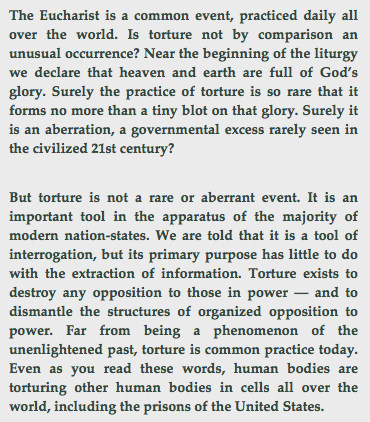 Torture also exists as a teaching — indeed, has it become our most emblematic pedagogy? This entry was posted on Monday, July 14th, 2014 at 12:08	and tagged with rebecca gordon, torture eucharist, torture philosophy, tortured body and posted in bearings, DP, riptides. You can follow any responses to this entry through the RSS 2.0 feed.